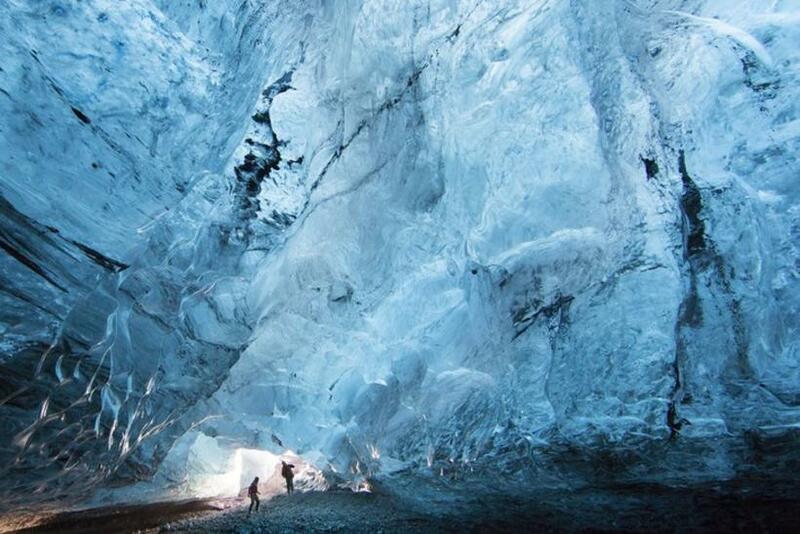 Ice caves in Vatnajökull are crumbling due to warmer temperatures and the ever-higher sun and the Vatnajökull National Park has issued a warning to people travelling there by themselves. Trips to the caves are popular amongst tourists and many tour operators offer them during the winter. Thousands of tourists visited ice caves this winter. "The ice caves are changing every day. The ceilings are collapsing," says park ranger Regína Hreinsdóttir.